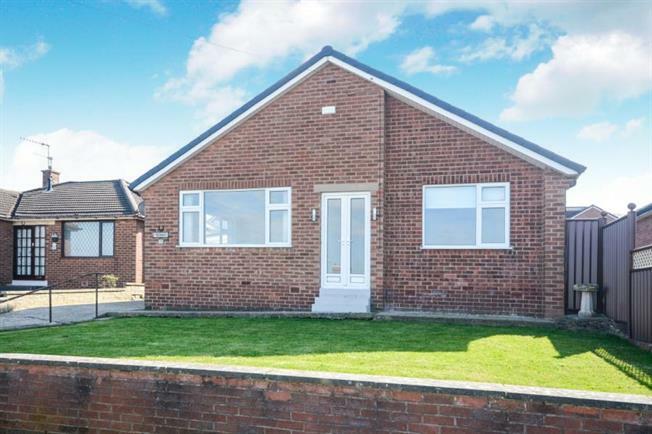 2 Bedroom Detached Bungalow For Sale in Chesterfield for Guide Price £250,000. Only upon an internal inspection will the full extent of this deceptively well-proportioned and beautifully presented two bedroom detached Bungalow be revealed. The property benefits from off street parking, car port and garage as well as a well maintained rear garden. The property briefly comprises of two nice size bedrooms, family bathroom with w.c, wash hand basin and shower, living room with view out over the front garden and the modern fitted kitchen is a excellent feature of the property. The rear garden is mainly laid to lawn. There is also the benefit of off street parking to the front of the property and separate detached garage providing ample parking.